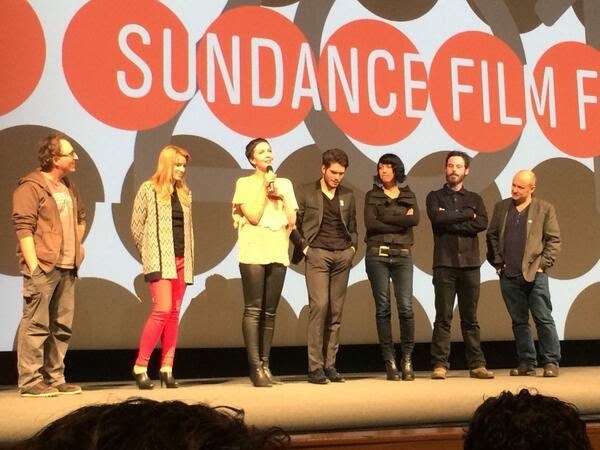 Lenny Abrahamson's Frank debut in the Ones-to-Watch series last night in Utah at the Sundance Film Festival. Michael Fassbender was not in attendance, but other cast was there including Maggie Gyllenhaal and Scoot McNairy. As per many comments from Twitter, a lot of people really liked Frank. 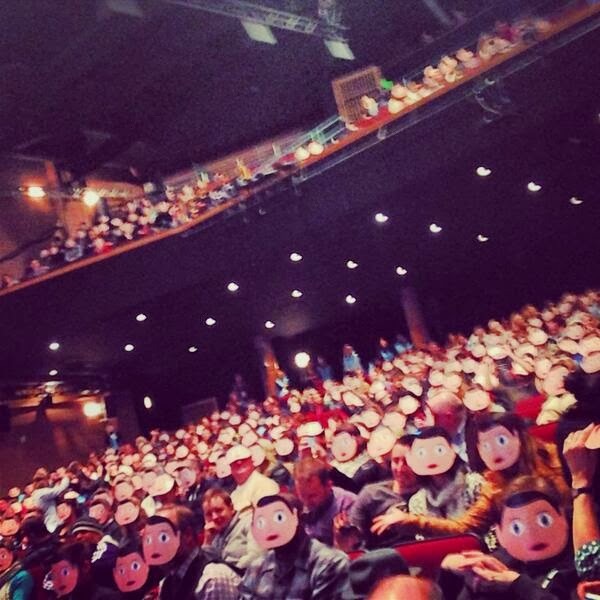 And the audience was given their own Frank masks to wear, which they did as the film hit the screen. Updated: Read Guy Lodge's review 'Michael Fassbender loses his head in Fascinating comedy, Frank'. FRANK is a masterpiece. An absolute masterpiece. We're all flipping out. Seeing FRANK was worth the altitude sickness. So there you have it. Go to this link to read an interview with Lenny to learn more about Frank. It looks like Michael is in yet another very interesting film and I look forward to seeing it! I wonder if I will have a chance to see it in a cinema here. It would be really wonerful to see Michael in a comedy!